Born to a working class family from Louisiana, Marcus Guillory started life as the “smart boy” in the neighborhood of Southpark, Houston, Texas in the early 70’s. His father, a well known cowboy in the black rodeo circuit, brought him through the trials of country Southern life – hunting, fishing, fixing the car and house. However, it was his sister, New York playwright and educator, Letitia Guillory, that exposed him to the arts at a very early age. Graduating at the top of his high school class and receiving numerous scholarships and accolades, Marcus attended the University of Pennsylvania where he received a B.A. in Philosophy. While attending UPenn, he worked as a financial analyst at Hamilton Lane Advisors, private equity firm. But his artistic passions continued. Having taught himself saxophone, trumpet, guitar and percussion, Marcus soon began to supplement his income by performing as a percussionist. After college, he enrolled at Tulane Law School in New Orleans. While pursuing a J.D., he studied, performed and recorded with world renown percussionist, Bill Summers of The Head Hunters and Los Hombres Calientes fame and started a Latin jazz fusion band, Taino, which received great praise in the New Orleans area. After law school, Marcus served a brief stint at the Directors Guild in Hollywood then began a sojourn with the law firm of Bobbitt & Roberts as their protégé attorney. Marcus spent four years as a full service entertainment attorney, working in film, music, TV, internet, literature and more. His client list included Spike Lee, MTV, BET and more. Feeling a need for something new, Marcus left the law practice to head development for an old client, Ruff Ryders Entertainment. While at Ruff Ryders Films, Marcus began writing and ushered in his new path as auteur and producer. Currently he has writes screenplays, music videos, commercials and short stories. Consequently, he’s considered one of the hottest new screenwriters in Hollywood with his first film, “Karma, Confessions & Holi” released in 2008, making him the first American to write a Bollywood movie. Guillory has written screenplays for Wood Harris, Antoine Fuqua, Djimon Hounsou, Laurence Fishbourne and other top-level Hollywood talent. Marcus has also developed film projects for music talent such as Lil’ John, Nellie, Pharrell Williams, Taz Arnold (TI$A, SA-RA), Common and other chart-topping talent. His short stories can be found at thuglit.com, Outcry Magazine, Secret Attic (UK), Dogmatika Magazine and other literary periodicals. 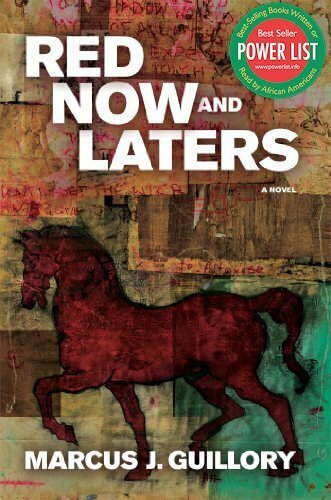 His first novel red now-n-laters was released in Spring 2014 to critical acclaim, including a starred Kirkus Review and shortlisted for the 2014 Ernest Gaines Award for Literary Excellence. In television, Guillory has worked with David Roma (Miami Ink, Hogan Knows Best, Snoop Dogg’s Fatherhood) over for seven years as a creative executive and story producer in reality television. In 2012, Guillory along with Roma produced a documentary, “Indians and Cowboys” about the Lakota Sioux in Pine Ridge, South Dakota at the invitation of the late Chief Oliver Redcloud. 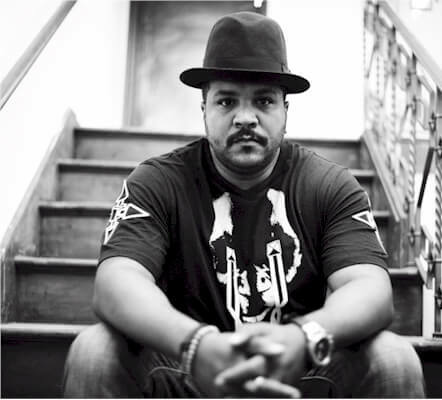 In music, Marcus returned to his music background in 2007 by DJing and producing house music (under the moniker “Mateo Senolia”), culminating into a partnership with 89.9 KCRW radio personality, Garth Trinidad – Trinidad Senolia. The Trinidad-Senolia unit created the new dance/spoken word genre called “Lit House” where Trinidad would recite Marcus’ writings over house/alternative music produced by Marcus (as Mateo Senolia.) In 2012, Trinidad-Senolia signed at record deal with house music legend Osunlade’s Yoruba Records. As “Mateo”, Marcus has produced remixes for such artists as Body Language (Om Records), Kelis (Ninjatune), Little Dragon, Electric Wire Hustle (okayplayer), Banks, Lana Del Rey, Gabrielle Poso and many more. He’s also scored commercials for Vitamin A Swimwear and bloodsweatandtears clothing. Tell us how much you like Marcus Guillory.